A couple years ago, Zac Brown Band put out the Jeckyl & Hyde album that was all over the map, genre-wise. I didn't mind that until they released the EDM song "Beautiful Drug" to country radio. We thoroughly roasted them over that terrible song. 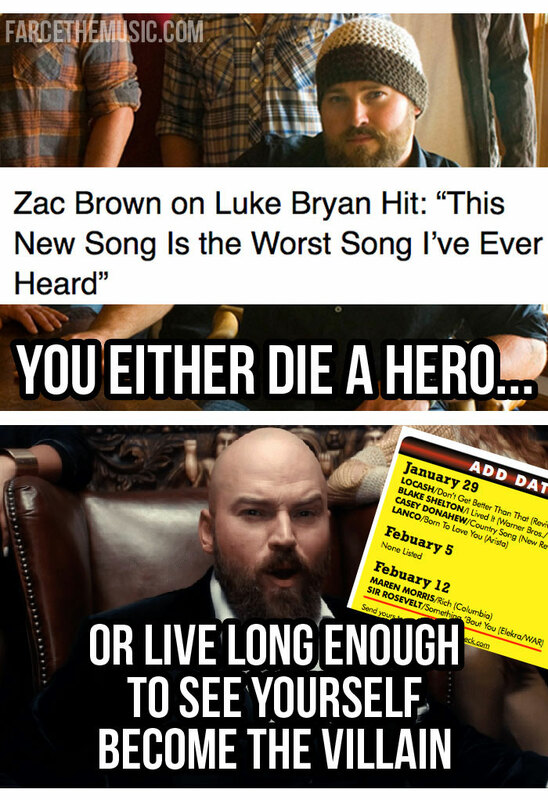 Soon came news that Zac had an EDM side-project, Sir Rosevelt, for all his electronic music... and last year, ZBB released the almost completely country album Welcome Home, which was pretty well-received. I forgave but didn't forget.